Furnaces are complex machines that need regular maintenance in order to function properly. Parts need to be cleaned and lubricated and worn out parts need to be repaired or replaced. Without regular maintenance, your furnace could fail. And because furnaces often use gas as a heat source, safety is of the utmost importance. There are warning signs that indicate your furnace may need to be repaired. 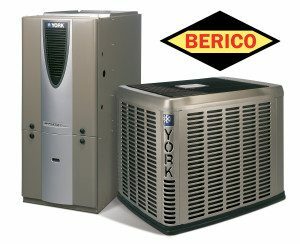 If you notice any of the following signs, it’s time to call an experienced HVAC service like Carolina Fuels. Carolina Fuels provides Eden furnace repair as well as heating fuel delivery and air conditioning repair. The House is unevenly warm and cold. If some rooms feel warm and others feel cold, your furnace is not working properly. There may be a blockage in the ductwork or ventilation. Low air flow. If you don’t feel a lot of air coming from the vents, there may be a problem with the blower, or a blockage in the ductwork. Thermostat not working. The problem may be with the thermostat. If the sensor isn’t detecting the correct temperature or the thermostat isn’t calling for heat when it should, that can cause the whole system to fail. The absolute best time to call a professional HVAC repair service is before your system breaks down. Regular maintenance is the best way to help prevent expensive repairs. Maintenance on your furnace should be done in the fall before the weather gets cold. Once the cold temperatures set in, HVAC companies will be busy with customers in need of emergency repairs and it may take longer to get help. Carolina Fuels offers Comfort and Protection Service Plans that include two tune-ups each year, in the fall for your heat and in the spring for your air conditioning. Regular service is the best way to prevent repairs and keep your HVAC system running efficiently. For Eden furnace repair, Carolina Fuels is a company you can trust. In addition to furnace repair and service, Carolina Fuels delivers propane and heating oil right to your home. Since 1924, Carolina Fuels has been providing heating fuel and HVAC service to Eden and the surrounding area. With dependable service 24 hours a day, 7 days a week, 365 days a year, Carolina Fuels is always available to meet your HVAC and fuel needs. Schedule maintenance today.